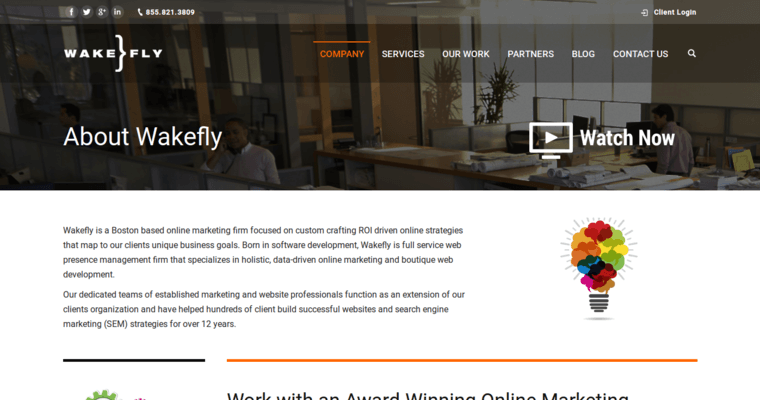 Wakefly is a digital marketing agency that provides a broad range of services. 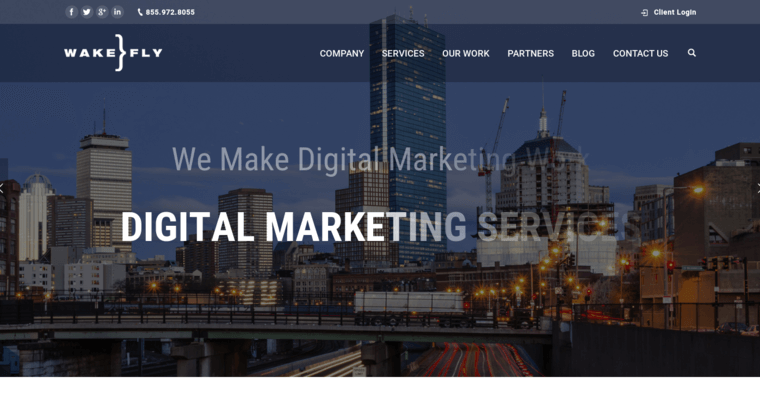 Although the firm is well-known for its PPC and SEO services, the company also provides professional web design services. The firm aims to elevate brands by creating comprehensive strategies that help business generate more leads and customers online. Wakefly has developed a proprietary marketing approach that ensures that clients always receives the perfect digital solution. For more than 16 years the Wakefly team has embraced cutting-edge technologies and creativity to create game-changing solutions for practically every type of business. 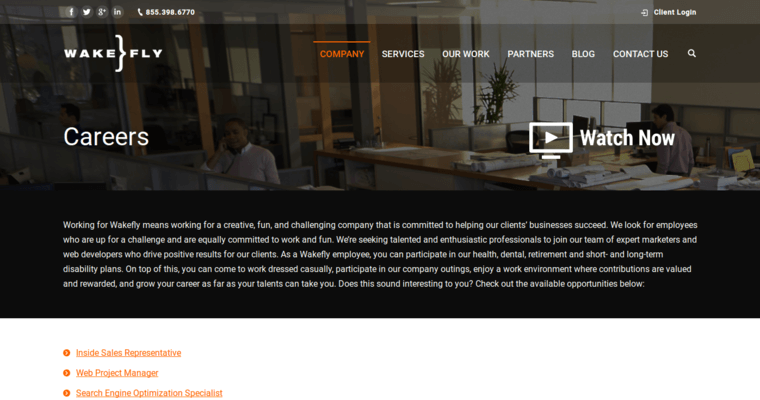 To get started with Wakefly, potential clients should view the agency's online portfolio. Afterward, prospects can schedule an initial consultation. Wakefly will then create a custom strategy that's designed to achieve well-defined goals. Throughout every project, the Wakefly team practices open communications and monitors outcomes. They never stop until their clients receive measurable ROI.